Early childhood is the period of life that begins prenatally and extends to eight years of age.1 Early childhood development (ECD) endeavors to support children’s holistic well-being in the early years. The period from pregnancy to three years of age is when the most rapid and critical brain developmental processes occur;2 when children have a poor start, the effects are profound and lasting. Poor health, nutrition, inadequate learning, and exposure to conflict and displacement impair children’s optimal development.3 Not only do these conditions deprive children of their right to thrive, but lack of investments in ECD has significant repercussions on a country’s economic growth, peace, and prosperity. Adults who experienced suboptimal care during their early childhood years will earn 26% less than the average adult income in their country. This lost income traps families in poverty and lowers GDP and tax revenues so countries have less to spend on health and education.4 The vicious cycle continues. 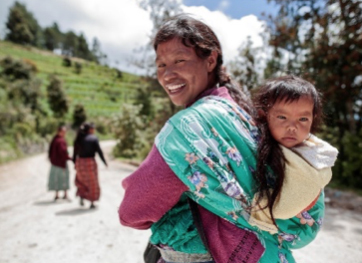 CRS invests in ECD to ensure that health and nutrition services, responsive caregiving, safety and security, and opportunities for early learning are available for the most vulnerable children worldwide. 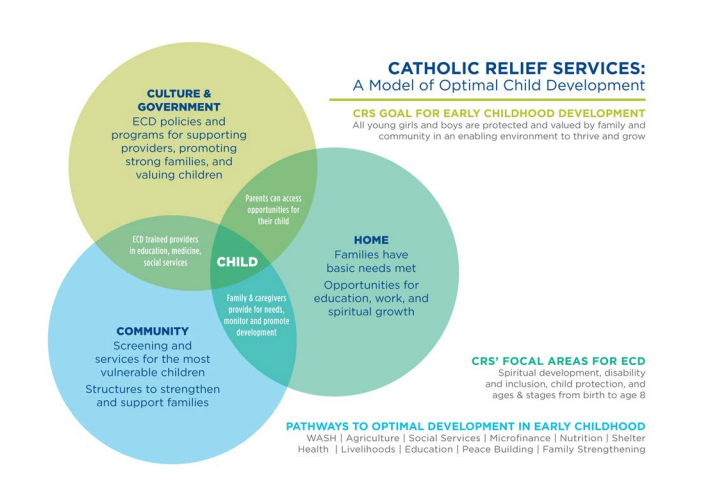 CRS views integrated ECD through key lenses including life-course developmental changes with a focus on conception to age 8, gender, disability & inclusion, child protection, and spiritual development. CRS’ technical expertise across sectors supports the shared ECD goal that all young girls and boys are protected and valued by family and community in an enabling environment to thrive and grow. 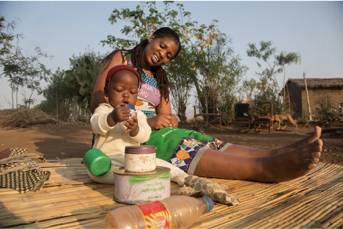 CRS has developed a process for integrating ECD into ongoing maternal, child health, and nutrition interventions – in the first 1,000 days of a child’s life – within existing in-country systems to ensure sustainability. In doing so, CRS ensures efficiency in programming, as programs directed toward the same population can make use of the same facilities, transportation, community networks, and distribution systems. 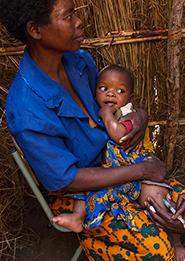 Home visits for Pregnant and Lactating Women (PLWs) and caregivers of children under two years (CU2s), where Community Health Volunteers (CHVs) reinforce the uptake of ECD behaviors and refer them to health facilities for preventive or curative services, as needed. Group sessions with PLWs and caregivers of CU2s, where CHVs deliver a set of integrated ECD messages using social and behavior change strategies. 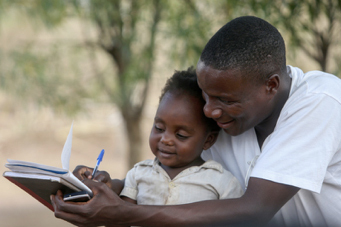 Engagement of other influencers in the community, such as fathers, mothers-in-law, grandparents, and traditional and religious leaders to support the uptake of ECD behaviors. ECD spaces at the community and health facility levels, where CHVs provide messages and demonstrations for caregivers on early stimulation and positive parenting techniques to improve caregiver-child interaction. Health staff capacity building in ECD and counseling skills to promote behavior change adoption in ECD during maternal and child health care. Capacity building of early childhood center caregivers to promote play-based early learning opportunities for young children, through quality environments that are safe and stimulating for children’s cognitive-language, social-emotional, physical-motor, and moral-spiritual development. CRS, along with other national and international NGOs, influences governments regarding the importance of integrating ECD into programs that benefit children, such as Education, Nutrition, Maternal and Child Health, and Protection. CRS implements ECD programming in 20 countries around the world, serving 1.8 million children and their families. Love, play, care and laughter are ingredients that make up a well-rounded childhood. 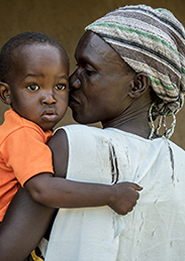 Hear how Catholic Relief Services is helping families on the margins—of violence, hunger and disease—raise healthy and happy children. Click here to view the podcast transcript and other episodes in CRS’ podcast series. 1.Siddiqi, A., Irwin, L., & Hertzman, C. (2007). A total environment assessment model for early child development: Evidence report for the World Health Organization’s Commission on the Social Determinants of Health. 3.World Health Organization, United Nations Children’s Fund, World Bank Group. 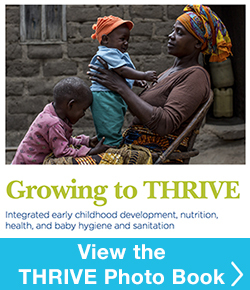 Nurturing care for early childhood development: a framework for helping children survive and thrive to transform health and human potential. Geneva: World Health Organization; 2018. Licence: CC BY-NC-SA 3.0 IGO.